The Brentwood Centre01277 215151work Leisure CentreBrentwood Leisure Trust is a not for profit leisure and entertainment company that operates seven venues in Brentwood and its surrounding areas. 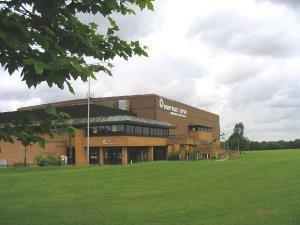 The Brentwood Centre opened in 1988 and since then has been a popular Events and Leisure venue, with over 750,000 visitors each year. Positioned just off the M25 with excellent signage in all directions, the Centre is both easily accessible to all surrounding counties, as well as very easy to find. Events at the Brentwood Centre range from top class acts such as ‘the one and only’ Chesney Hawkes, JLS, Paul Weller, McFly and Status Quo, to exhibitions and sporting events such as the Brentwood Carp Show, the Brentwood Festival, televised boxing and basketball. The Brentwood Centre International Hall is a flexible space with a maximum seating capacity of 2,000. The Hall also hosts a recently installed seating bank which is upholstered bench seating and seats approximately 1,131 people. We have free parking for all events. Brentwood Leisure Trust is a not for profit leisure and entertainment company that operates seven venues in Brentwood and its surrounding areas. The Brentwood Centre opened in 1988 and since then has been a popular Events and Leisure venue, with over 750,000 visitors each year. We are a fully inclusive venue. Our sports and leisure facilities are open from early morning until late evening. 363 days of the year. Opening times for events will vary.